We’d love your help. Let us know what’s wrong with this preview of Grotesquery by A.L. Blacklyn. Memories drive a former king's guard away from her duty. To ask other readers questions about Grotesquery, please sign up. 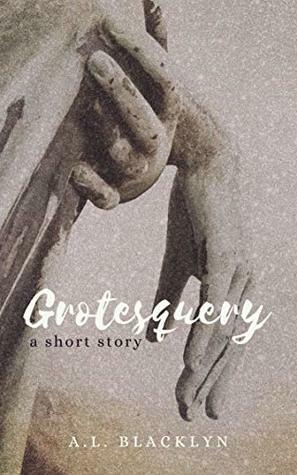 Grotesquery, written by A. L. Blacklyn, dives deeply into a world of strange magic that feels inexplicably natural by the time you reach the second page. Following a wizard attempting to solve a mystery surrounding the gargoylesque guardians of his city, the story seamlessly blends backstory with present-day plot, pushing the narrative toward its inevitable conclusion. Blacklyn had me rooting the story would end a different way, and when a writer achieves that goal in such a short tale, you know Grotesquery, written by A. L. Blacklyn, dives deeply into a world of strange magic that feels inexplicably natural by the time you reach the second page. Blacklyn had me rooting the story would end a different way, and when a writer achieves that goal in such a short tale, you know they’ve succeeded in their authorial duties. I’d recommend this story to anyone looking for a quick read and insightful look into a unique fantasy setting. Blacklyn is an author to watch; while Grotesquery is by no means perfect, it drew me in enough to ask probing questions about the characters, the world, and the magic driving the plot forward. And it pulls forth a profound question. Should we assume just because we believe the world to work one way, that it, in fact, works that way?